After much thought, consideration and meditation I have decided to drop out of the United States Presidential election of 2004. Unfortunately, the proverbial wind was taken out of my sails by none other than my cousin Brian Wilson. 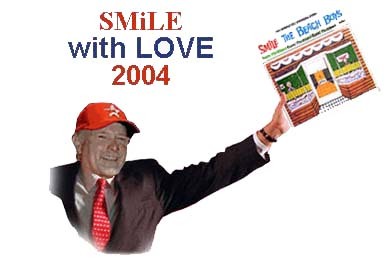 As you all know, when I first announced my candidacy back in 2002, my primary campaign promise was the official release of SMiLE. In a way I have fulfilled my primary objective as SMiLE will be released in a few days, although not in the form I had originally envisioned - as a Brian Wilson release and not a Beach Boys release. Sure, I am a little hurt. 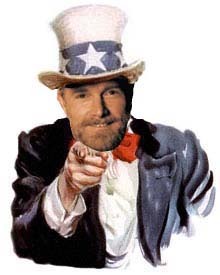 I mean, I was an instrumental part of the Beach Boys and I am a vital link to the SMiLE legacy. I am setting my political sights on the State of California and am planning as running for Governor as soon as the term of the present California Governor expires. Who better to be the Governor of California than the main Beach Boy! I will be running under a newly created political party called, CRAP (Crow & Corn Realization Activation Party) which will concentrate on environmental issues such as making genetically altered corn illegal and petitioning to make the state bird a crow. I will be releasing a new album, entitled 'Mike Love's Smiley Smile' to coincide with my upcoming candidacy. A series of tours/political rallies will follow. Finally, I will levy an addition tax on all copies of the dubious Brian Wilson Smile that are brought into the state of California. This will help alleviate the current budget crunch.